As Mrs. Kemp’s class piled out of her room for the day, Carlos stayed behind and sat next to her at her desk. “I don’t know,” Carlos said, looking at the ground and swinging his feet. “Well, is there anything you enjoy doing at school?” Mrs. Kemp asked. Carlos raised an eyebrow. Mrs. Kemp pointed to several supplies that sat on a shelf in the back of the classroom. 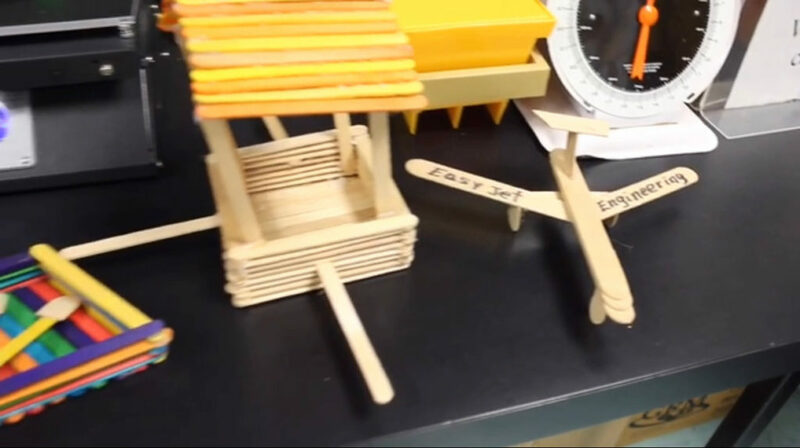 There sat popsicle sticks, glue, and even a 3D printer. Carlos thought about engineering and how it connected to what his dad for a living. Seeing as how he really looked up to his dad, he could see this working. He looked back at his teacher as she asked her next question. Carlos began to beam with delight. With this, he felt like he contributing something to the school along with doing what he liked. 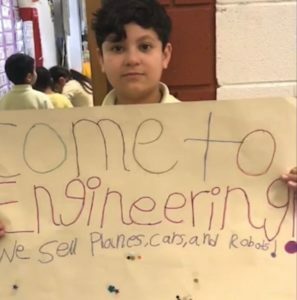 Over the next few weeks, Carlos got his business up and running with several employees selling cars, planes, and robots to the entire school.